Delta Upsilon is the sixth oldest all male non secret fraternity and was founded in 1834 at Williams College. The fraternity has over 120,000 members and has 79 active chapters. Alumni include various government and civil servants such as president of the United States and judges of the supreme court of the United States. The society partners with various charities and has even a global initiative. 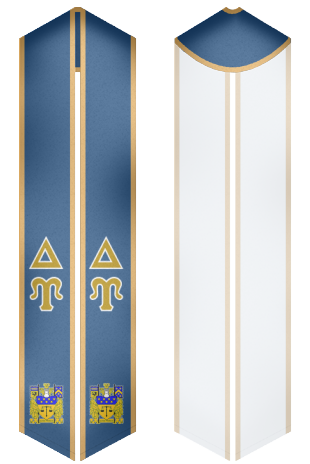 Being part of this fraternity is an honor and why not make your graduation memorable with a sash that signifies your membership to this prestigious fraternity. Make your graduation memorable and design your own high quality unique sash.